Make the season shimmer and shine with foil and paper holiday wrapping paper for the special people in your life. 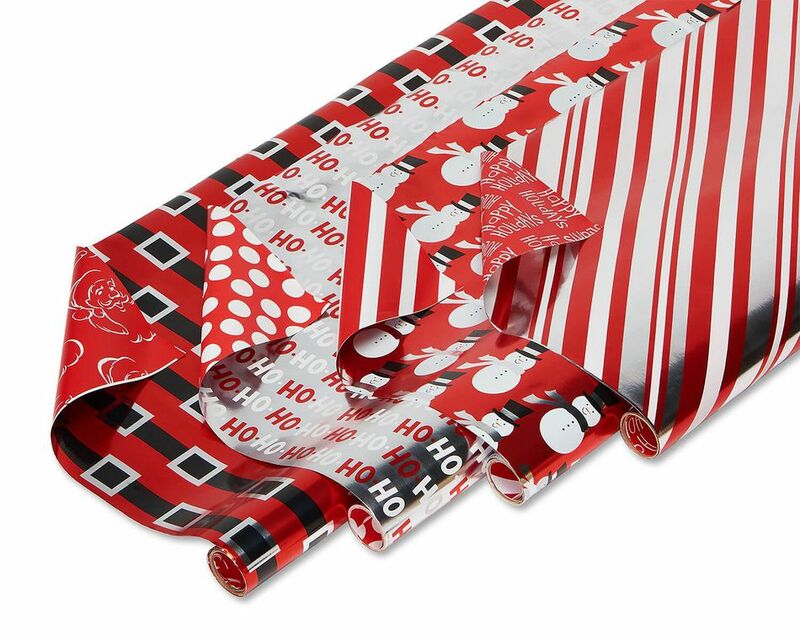 This convenient package includes four reversible designs (choose from eight different patterns!) for a variety of crisp, on-trend looks with simple patterns of stripes, snowflakes, snowmen and more. Sure to please kids and adults alike! 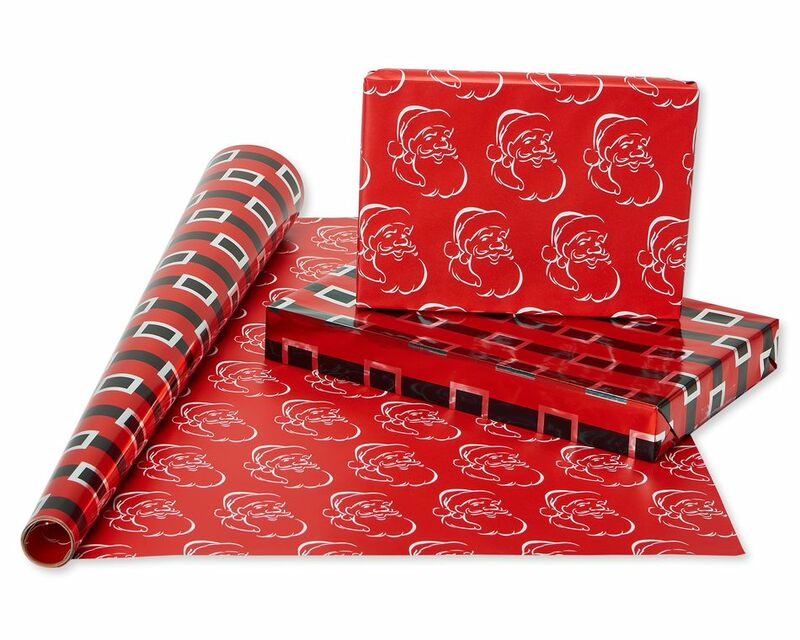 Each roll features a shiny foil design on one side and a bold paper print on the other, so you can use multiple patterns on one package, contrasting patterns and even creating unique paper folds and pockets for your gift cards and greeting cards. 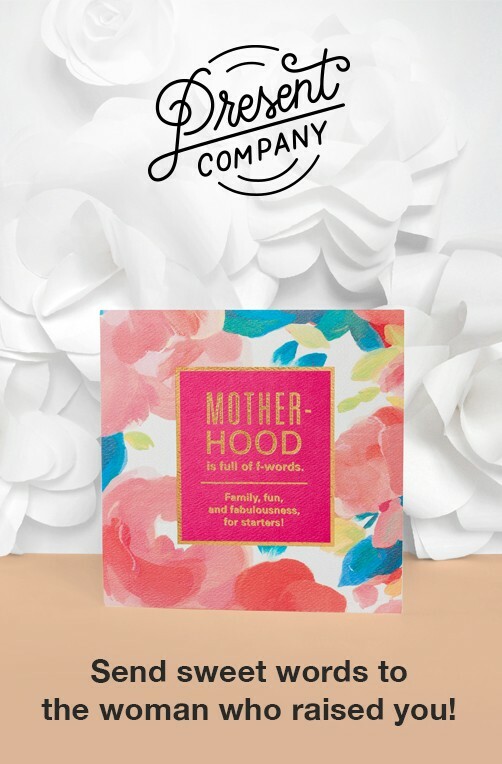 Great for crafts, too! 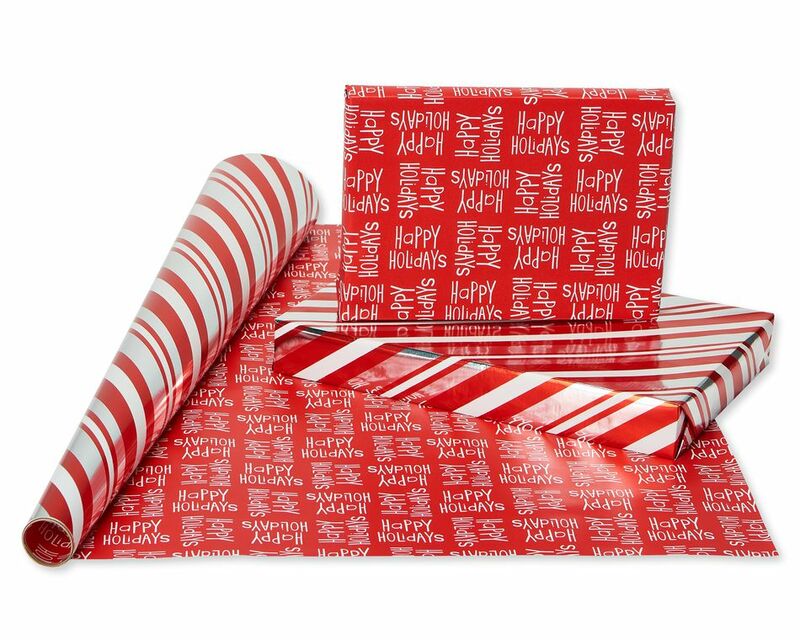 For gift presentations that wow under the tree, mix and match the patterns when wrapping multiple packages. 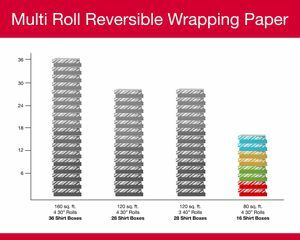 Each standard size, continuous roll of paper (no creasing!) 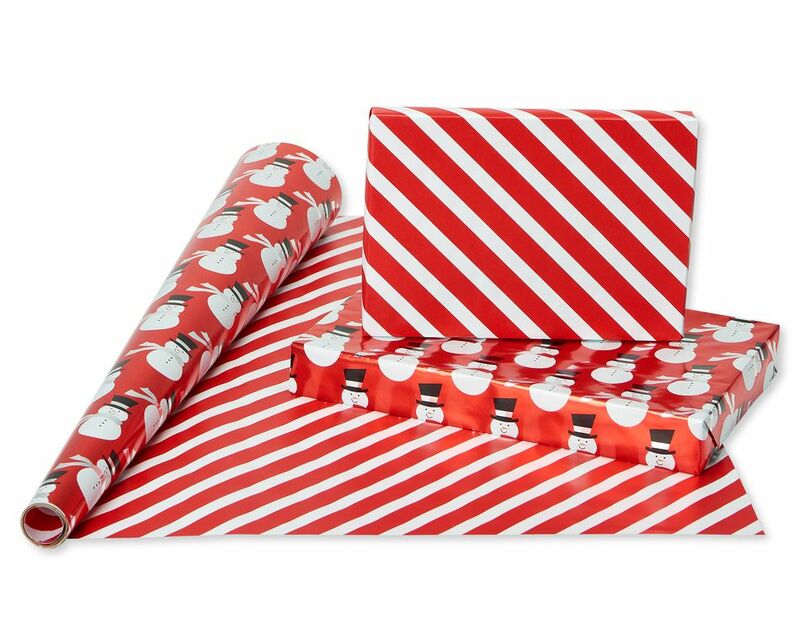 is easy to cut, wrap and fold, and can cover as many as 4 average-sized boxed gifts. Thick, durable paper won’t tear easily during wrapping and is sure to keep all your Christmas surprises hidden from peeking eyes. Use the wrapping paper on its own for a clean look or get fancy with a gift tag, tissue paper decorations, ribbons and bows (all sold separately). This versatile mix of two-sided designs is perfect for Christmas, winter birthdays and other celebrations! 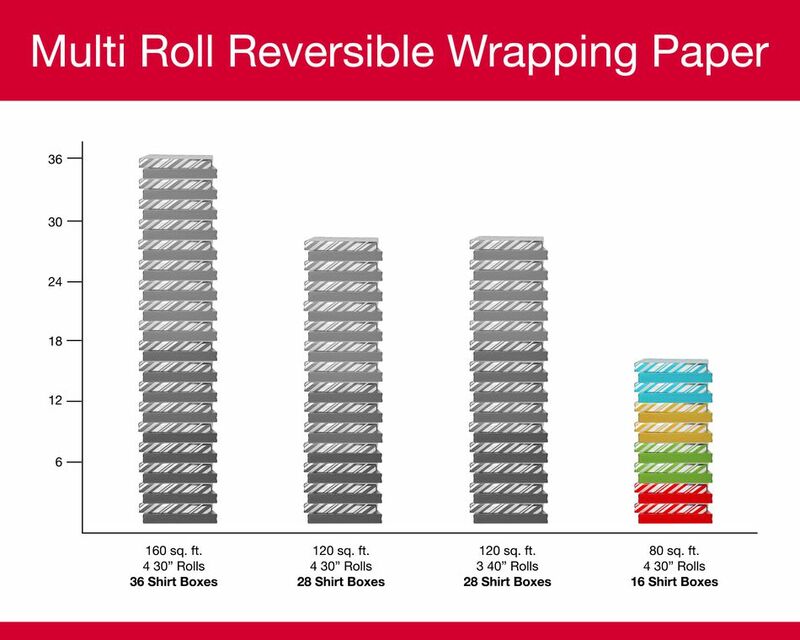 Each reversible roll measures 30 inches wide by 8 feet, 20 total square feet for a 80 total square feet per pack. 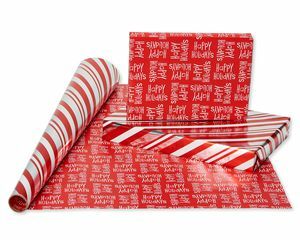 Each roll can wrap approximately 4 shirt boxes that measure 15 inches x 9.5 inches x 2 inches. 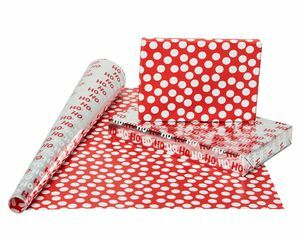 The 4 roll pack can wrap 16 shirt boxes! 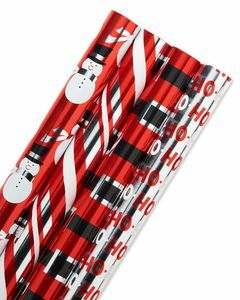 The multiple coordinating designs will add variety and elegance to your holiday wrapping!